At the time of the interview, Alice was performing as Sugar Plum Fairy and Gingy, together with being understudy for Princess Fiona in Shrek the Musical at the Theatre Royal Drury Lane. She has performed the role of Princess Fiona on several occasions, with notable comments from people that have been lucky enough to see her. Having played several types of musical instrument at school, Alice’s stage career began when she joined the Mountview Theatre School in North London. 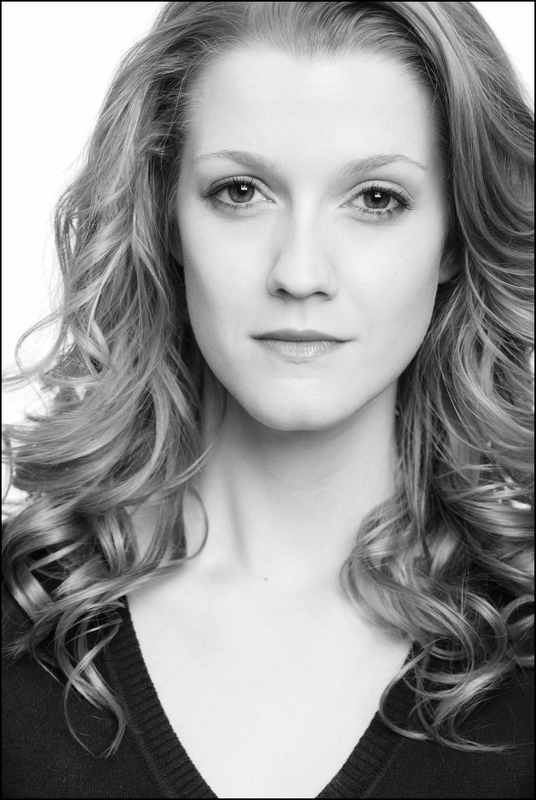 When she graduated in 2005 she immediately made her West End Debut in Andrew Lloyd Webber’s musical The Woman In White at the Palace Theatre understudying the role of Laura Fairlie. She then joined Les Miserables at the Queen’s Theatre where she played the role of Factory Girl and understudied the roles of Fantine and Cosette. Since her early West End debut Alice’s stage career has continued to blossom and it is no surprise that she continues to gain plaudits in everything she does. Alice has a busy schedule, but she recently took time out to answer a few questions that I put to her. I hope that you enjoy reading what Alice has to say. I was born in Bath but only lived there ‘til I was four. Then we moved to Cumbria, a small village called Caldbeck, where I lived until making the big move to London to study drama. Where did you go to school and what was your favourite subject? Austin Friars School in Carlisle, Cumbria, where I have to say my favourite subject was music. I played (well tried) so many different instruments (Violin, Clarinet) when growing up and finally settling on Piano, Harp and singing! What was the first part that you played in a school play? Dorothy in The Wizard of Oz. I was 13! I think I really got into acting when I was 15/16. From childhood I had always loved music and singing, but my love for acting started much later. What did your parents think about your career choice? Do you know, they didn’t bat an eyelid. I knew that I wanted to try out for drama schools, specifically in London and they happily took me to any auditions I got and were probably even more excited than I was when I got in. When I was young I was obsessed with Hello Dolly and Bedknobs and Broomsticks so I’d have to say Barbra Streisand and Angela Lansbury were definitely my biggest inspirations growing up. What is one of your favourite recollections of Mountview Theatre School? I had some of the best years of my life at Mountview so there are many favourite moments to choose from but I’d have to say a production I did of A Little Night Music in third year. I played Desiree Armfeldt and had the most incredible experience. I learnt so much from our wonderful director Matthew White, and had the opportunity to perform such a fantastic piece with some fantastic and lifelong friends. How did you feel when you made your West End debut in Andrew Lloyd Webber’s musical The Woman in White at the Palace Theatre? I think it’s almost impossible to describe how you feel in your West End debut. It is incredibly emotional and I was performing in one of the most iconic theatres in London. It was a moment I’ll never forget and an experience I’ll be grateful for forever. What is it like performing in Shrek The Musical? Playing a character such as Gingy is a gift. The audience are practically waiting for the puppet to come on for “The Muffin Man” scene so you can’t beat an entrance like that. Children love him and adults love what he stands for. He is opinionated and fights for what he believes in. As for Sugar Plum Fairy, if you’ve seen my costume it’s like any girls dream! I have also been lucky enough to have played Princess Fiona a couple of times and have to say I’ve never been happier and enjoyed a role more. I think I see a lot of myself in her. She is sassy, zany and filled with a little madness which is qualities that I’m willing to admit I see in myself! Having performed in a leading role in the West End is there anyone you have as a role model that you aspire to be like? I have to say I’m practically a lunatic fan of Sutton Foster who actually originated the role of Princess Fiona on Broadway. She is a stunning performer/ singer/dancer/actress, you name it she is brilliant at it and I think anyone would wish to be as successful as she is and will no doubt continue to be. In terms of my career, I’ve always aspired to get into TV. Acting on screen is a completely different ball game to acting in theatre and I’d like the challenge that a tv drama or series would bring. I don’t think I have one favourite actor or actress in particular. I find certain performances become favourites as opposed to the actors themselves. However, saying that, I have never seen Colin Firth put a single foot wrong in anything he has ever done in his career. So he’d definitely be up there! Apart from in Shrek The Musical, is there a role that you would love to play at some point in your career? I have to say that would be Desiree Armfeldt in A Little Night Music. Although I feel, or hope, I’m still far too young to play her for some years yet! That is and always will be Hello Dolly!!! Big hats, dancing waiters and Barbra Streisand… Can’t go wrong!! Think I’d love to sing alongside Bernadette Peters once in my life… Although there’d be a definite chance I’d hyperventilate before the song even began. Only to say please come, support and watch Shrek the Musical at Theatre Royal Drury Lane. It is great fun and a brilliant night out!! Thank you Alice for taking the time to have a chat, we all wish you the very best with Shrek The Musical and your future career!